It happens all the time. You get into your car, put on your seatbelt, and start driving down the road when you hear your cellphone chime with a text alert. Now comes the moment of truth, do you pick up your phone to read the text and reply? With more than 2,000 Pennsylvania residents being cited for distracted driving in 2014, authorities and community members are starting to crack down on drivers using cellphones. Most recently, Daniel's Law has been introduced in Pennsylvania in an effort to lower the injuries and deaths that result from distracted driving accidents by encouraging stronger penalties for drivers who text and drive. On June 15, 2016, the state House of Representatives passed Daniel's Law with a unanimous vote. Daniel's Law was introduced by state rep. Jaret Gibbons in honor of Daniel Gallatin of Lawrence County, who was killed on May 7, 2013 when a texting driver struck his motorcycle from behind. Currently, Pennsylvania considers distracted driving a summary offense, which can amount to a $50 fine, plus court costs, and other fees. Texting-and-driving violations do not carry points and are not recorded on drivers' records for non-commercial drivers. The violation is currently recorded on a commercial driver's record as a non-sanction violation, but this new bill, Daniel’s Law, would change the punishment faced by distracted drivers. Would penalize distracted drivers similarly to drunk drivers. Would increase penalties for texting drivers convicted of vehicular homicide or involuntary manslaughter. Those drivers would could face an additional five years in prison. Would add points to violators' driving records. As we await the state Senate's vote on Daniel's Law, drivers are left wondering what the bill could change on the road. In 2015, there were more than 14,800 distracted driving accidents in PA. If the Senate does pass Daniel's Law, the hope is that there will be a decrease in distracted driving-related automobile accidents and an increase in awareness regarding the seriousness behind the law in Pennsylvania. We will continue to monitor the bill's advancement through the legislature and will keep you posted on updates that arise. 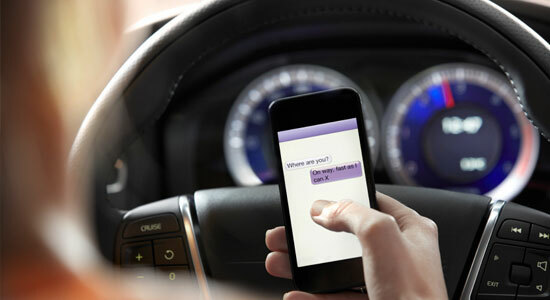 At Edgar Snyder & Associates we have seen first-hand the devastating outcomes of texting and driving. If you or a loved one has been injured as the result of a distracted driver, we're here to help. We have the answers you need to move forward with your life.